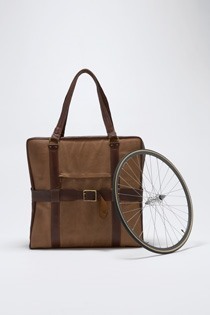 "Wallpaper commissioned a bike, two in fact, that could be broken down (using very clever and super-sturdy S&S couplers), packed in a bespoke bag and loaded on a plane, with no excess baggage charge, and taken with us wherever we went. The project pulled in a wide range of craftsmen collaborators from the US, UK and Japan - frame builders, designers, paint specialists, saddle makers, leather carvers and bag and luggage makers - to ensure that every element of the bike was as beautifully put together as it could be. 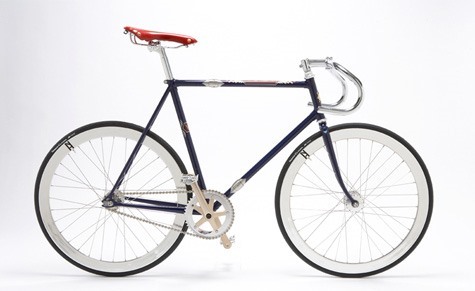 The two frames were handcrafted in Osaka by 71-year old master frame builder Shuichi Kusaka of US-Japanese operation Kinfolk, the rising stars of bespoke bike building." In the edition of two, the first bike is priced at £2,450 ($3800) and the second at £3,000 ($4650). That's a hefty sum, but if you're interested, email Wallpaper. Blue, Yellow, Orange Wit Bling, Scraper Bikes is on the Scene.